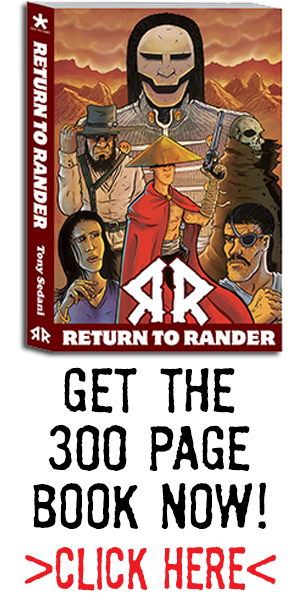 As i mentioned in a few editions back, I will be putting out a new version of the Return to Rander graphic novel that is made more closely to how I envision it being distributed from now on. I did mention that it will be 285 pages, but I decided to add in another 15 more pages. These 15 pages make up “The Lost Issue”. It will be an added chapter into the main story that takes place between issues 2 and 3. So, this week I will share page 1’s artwork with everyone. So, back to changing diapers, inking pages and not sleeping. Here is an all new mini comic! No words, but all pictures! More to come soon. We’re back! This special Sunday I wanted to let you know there is NEW Return to Rander coming out very very soon! While I am (slowly) working on the second issue of Return to Rander The Blood Isle (technically the 6th overall issue) I decided I wanted to tell a short story I had sitting in my word processing program. It will be a 12 page mini comic with a short print run. Very short. Like 100 issues short. This issue takes place immediately before Return to Rander #1 which is a fun little tidbit. I will start selling them at Heroes Con in Charlotte NC this June. 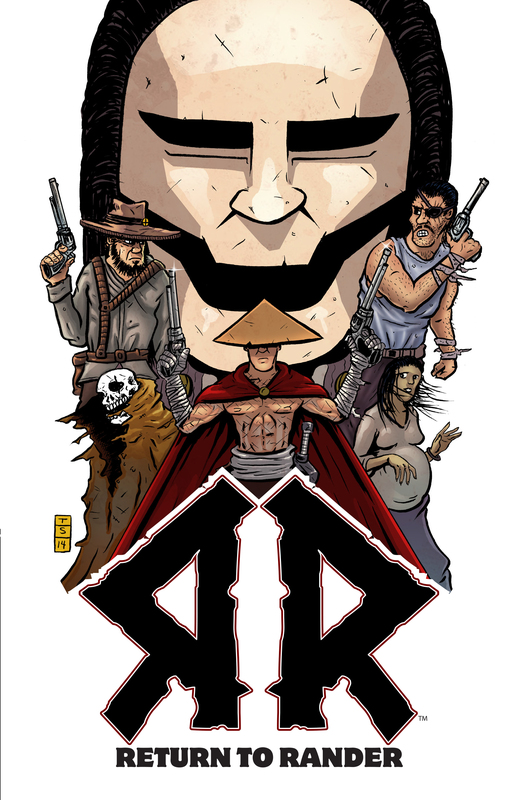 Also, they will be FREE with a purchase of the RR Graphic Novel which is a great deal! Here is the cover to the new mini-comic. It is printed on Ivory Paper, so the colors change a lot from what you see here.